Behavioral problems don't have the exact definition They are behaviors that contradict to specific age, culture, social values and norms. According to Achenbach et al. behavioral problems can be categorized into “Internalizing” and “Externalizing”. Behavioral problems that are directed from internal like, anxiety, sadness, depression, complaining of somatic pains frequently, some specific phobias. Internalizing behavioral problems are common among girls. Behavioral problems that are directed from external and are expressed in actions like, being angry,violence, overactive, attention problems. These problems are common boys. Internalization and externalization disorders in early life constantly show externalizing and internalizing problems in later life if left untreated. The behavioral problems affect the mental health of a child. Good behavior is the sign of good mental health whereas the problem in mental health leads to aggressive behavior, anxiety, stress, restless and decreased self-esteem. Mental health of a child has direct impact on cognitive, social and learning development. Early detection is the important path for the early intervention of the problem. Early intervention can improve the QOL of the individual and decrease burden created to family society and nation. 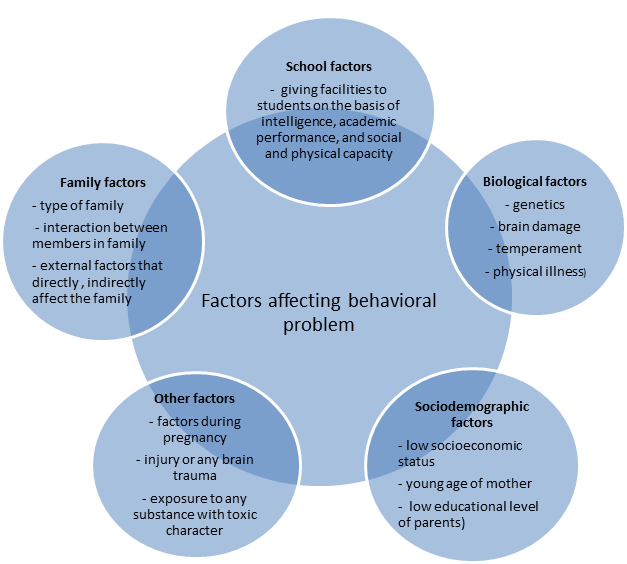 Behavioral problem can be identified in preschool age group and the period around the transition to school has been identified as a particularly effective time to intervene for the behavioral problem. Early intervention programs for individuals with early signs of mental problem have been highlighted as crucial and effective strategies to prevent development of mental disorders. ↑ Achenbach TM, Edelbrock CS. 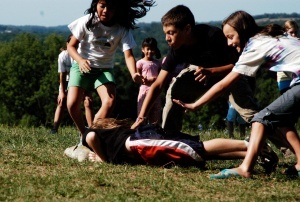 The Child Behavior Profile: II. Boys Aged 12-16 and Girls Aged 6-11 and 12-16. Journal of Consulting and Clinical Psychology. 1979;47:223-33. ↑ Reid K, Littlefield L, Hammond SW. Early intervention for preschoolers with behaviour problems: Preliminary findings for the Exploring Together Preschool Program. Australian e-Journal for the Advancement of Mental Health (AeJAMH),. 2008;7(1):1-15.